M.A., B.M., B.Ch., M.Sc., F.R.C.G.P., F.H.E.A., M.D. Stephen’s pre-clinical medical training was in Cambridge and his clinical training in Oxford. After GP training in Bristol he started work in a market town practice in the Cambridgeshire Fens and then in 1990 moved to a GP practice in Cambridge. He continues to work clinically in General Practice. He has worked clinically in the Arthur Rank Hospice in Cambridge since 1995, where he has been Honorary Consultant Physician in Palliative Care since 1996. Funded by a NHS R&D Health Services Research Training Fellowship 1998 – 2001, he undertook the City University MSc course in Advanced Social Science Research Methods and Statistics. His 2005 MD thesis from the University of Cambridge “General Practitioner provision of Palliative Care in the United Kingdom” was awarded the Clinical School’s Ralph Noble prize. In 2011 he was appointed HEFCE Clinical Senior Lecturer in General Practice and Palliative Care in the Primary Care Unit. He was promoted to University Senior Lecturer and awarded a university Pilkington Prize for teaching excellence in 2015. He leads the Unit’s Palliative and End of Life Care research group and the teaching of Palliative Care in the Medical School. He is Clinical Lead in End of Life Care for the Cambridge and Peterborough CCG and is the Clinical Lead for the CCG End of Life Care Data Sharing project. He was GP member of the 2012 NICE Topic Expert Group that developed Quality Standards for End of Life Care in the NHS. He is Chair of the NIHR Research for Patient Benefit East of England Regional Advisory Panel and leads the national Marie Curie Design to Care Collaborative. Stephen has worked in Palliative and End of Life Care research for over 20 years. His research focuses on Palliative and End of Life Care in Primary Care, with a particular interest in General Practitioner and District Nurse provision of care, end of life care conversations in cancer and non-cancer illness, decision-making concerning treatment cessation in advanced disease and medical student education in Palliative Care. He led the End of Life Care theme of the NIHR CLAHRC for Cambridgeshire and Peterborough 2008 – 2013 and currently leads the End of Life Care sub-theme in the NIHR CLAHRC East of England 2014 – 2018. 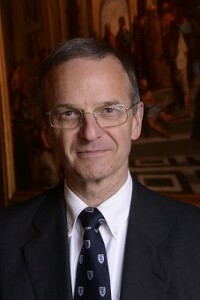 In 2002 he was appointed by the Cambridge School of Clinical Medicine as Specialty Director for Palliative Care: since then he has led a considerable expansion of the curricular time allocated to Palliative Care, which now forms a major component of the clinical course in Cambridge and is regularly examined in the medical students’ Finals examinations. He co-leads the Undergraduate Education Forum of the Association for Palliative Medicine and led to 2014 revision of the national curriculum for medical student teaching in Palliative Care. Spathis A, Booth S, Grove S, Hatcher H, Kuhn I, Barclay S. (2015). “Teenage and young adult cancer-related fatigue is prevalent, distressing and neglected: it is time to intervene.” A systematic literature review and narrative synthesis. Journal Adolescent and Young Adult Oncology: 4(1): 3 – 17. Barclay S, Whyte R, Thiemann P, Benson J, Wood D, Parker R, Quince T (2014). “An important but stressful part of my future work”. Medical students’ attitudes to End of Life Care throughout their course. Journal of Pain and Symptom Management: 49 (2): 231 – 242. Perrels A, Fleming J, Zhao J, Barclay S, et al (2013). “Place of death and end-of-life transitions experienced by very old people of different cognitive status. Retrospective analysis of a population-based cohort aged 85 and older”. Palliative Medicine: 28 (3); 220 – 233. Sharp T, Moran E, Kuhn I, Barclay S. (2013) “Do the elderly have a voice? End of life care discussions with frail & elderly individuals: a systematic literature review & narrative synthesis”. British Journal of General Practice: 63; 657 – 668. Badrakalimuthu R, Barclay S. (2013) “Do people with dementia die at their preferred location of death? A systematic literature review and narrative synthesis”. Age and Ageing: 43 (1); 13 – 19. Knights D, Wood D, Barclay S. (2013) “The Liverpool Care Pathway for the Dying: what went wrong?” British Journal of General Practice: 63; 509 – 510. Mason B, Epiphaniou E, Nanton V, Donaldson A, Shipman C, Daveson B, Harding R, Higginson I, Munday D, Barclay S, et al (2013) “Coordination of care for people with advanced progressive conditions: a multi-site prospective study”. British Journal of General Practice: 63; 421 – 422. Clarke G, Holland A, Barclay S. (2013) “How are treatment decisions made about artificial nutrition for individuals at risk of lacking capacity? A systematic review and qualitative synthesis”. PLOS ONE: 8(4): e61475. Whyte R, Quince T, Benson J, Wood D, Barclay S. (2013) “Medical students’ experience of personal loss: incidence and implications”. BMC Medical Education: 13; 36. Momen N, Hadfield P, Harrison K, Barclay S. (2012) “Managing pain in advanced cancer: a survey of United Kingdom General Practitioners and Community Nurses”. Journal of Pain and Symptom Management: 46 (3); 345 – 354. Gwilliam B, Keeley V, Todd C, Roberts C, Gittens M, Kelly L, Barclay S, Stone P. (2012). “Prognosticating in patients with advanced cancer – observational study comparing the accuracy of clinicians’ and patients’ estimates of survival”. Annals of Oncology: 24 (2); 482 – 488. Quince T, Barclay S, Spear M, Parker R, Wood D (2011). “Student Attitudes towards cadaveric dissection at a UK medical school”. Anatomical Sciences Education: 4(4); 200 – 207. Momen N, Hadfield P, Kuhn I, Smith E, Barclay S. (2012) “Discussing an uncertain future: End of Life Care conversations in COPD. A systematic literature review and narrative synthesis”. Thorax: 67; 777 – 780. Borgstrom E, Barclay S, Cohn S (2012) “Constructing denial as a disease object: accounts by medical students meeting dying patients”. Sociology of Health and Illness: 35 (3); 391 – 404. Barclay S, Momen N, Case-Upton S, Kuhn I, Smith E. (2011). “The conversation that rarely happens”. End of life care conversations with heart failure patients: a systematic literature review and narrative synthesis. British Journal of General Practice: 61; 59 – 60.